Telehealth is increasingly being employed to extend the reach of behavior analytic interventions to families of children with developmental disorders who exhibit problem behaviors. 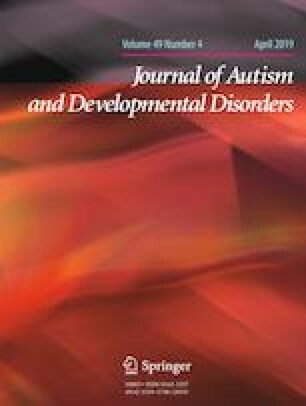 In this preliminary study, we examined whether function-based behavior analytic interventions could be delivered via telehealth over 12 weeks to decrease problem behaviors exhibited by ten boys with fragile X syndrome (FXS), aged 3- to 10-years. Results showed that for eight children who completed treatment, rates of problem behavior decreased from baseline by 78.8–95.3%. Parent procedural integrity and acceptability ratings remained high throughout the treatment. These data indicate that implementing function-based behavioral treatment via telehealth can be a feasible, acceptable and potentially cost-effective approach for decreasing problem behaviors exhibited by boys with FXS. KM participated in the coordination of the study, administration of the study protocols and analysis and drafted the manuscript; AB-R participated in data collection, administration of the study protocols and analysis; JP participated in the study design, drafted the study procedures, and critically evaluated the manuscript, SH conceived of the study, participated in its design, coordination and analysis, and critically revised the manuscript. All authors read and approved the final manuscript. This research was funded by a Developmental Disabilities Translational Research Program Grant from The John Merck Fund (PI: Scott Hall).